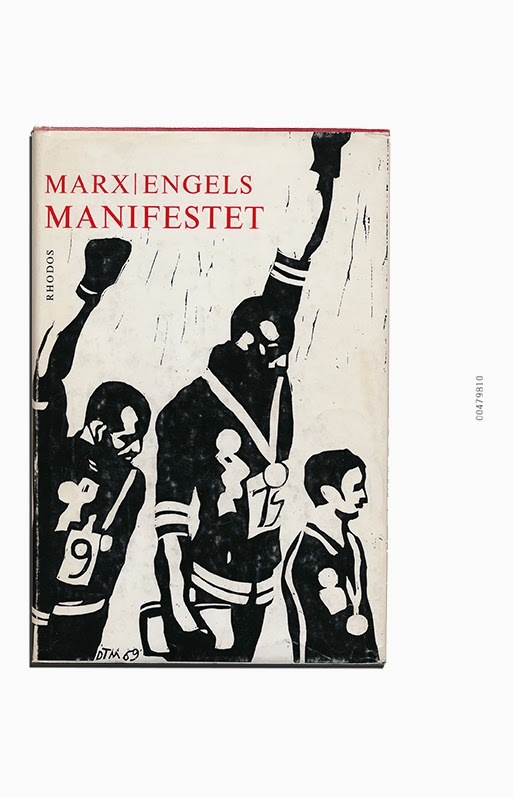 01.01.CM presents over 100 covers of The Communist Manifesto, compiled by the Museum of Ordure from its collection. The book is turned inside out to draw attention to its material form and historical conditions: the covers have fascinating stories to tell of hopes and anticipated futures - for instance, in their use of particular imagery and in the signs of wear through human use – and draw attention to the excesses of capitalist production. This notion of excess is fundamental to the overall project of the Museum of Ordure in its attention to the management of human waste and identification of ordure. What value do readers place upon the Manifesto in a situation where radical politics appears to have been reduced to commodity form, nostalgia or mere curiosity? 01.01.CM was published as part of the exhibition: Systemics#3: Against the idea of growth, towards poetry (or, how to build a universe that doesn't fall apart two days later), in Kunsthal Aarhus (16jan.–30mar. ).